Hungary is a country in Central Europe, member of the European Union and the Schengen Border-less Europe Agreement. The country offers many diverse destinations: relatively low mountains in the north-west, the Great Plain in the east, lakes, and rivers of all sorts (including Balaton - the largest lake in Central Europe), and many beautiful small villages and hidden gems of cities. 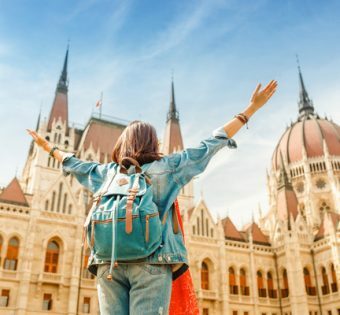 Top this off with Hungary's great accessibility in the middle of Europe, a vivid culture and economy, and you get a destination absolutely not worth missing if you're in the region. Hungary is one of the 15 most popular tourist destinations in the world, with a capital regarded as one of the most beautiful in the world. Despite its relatively small size, the country is home to numerous World Heritage Sites, UNESCO Biosphere reserves, the second largest thermal lake in the world (Lake Hévíz), the largest lake in Central Europe (Lake Balaton), and the largest natural grassland in Europe (Hortobágy). In terms of buildings, Hungary is home to the largest synagogue in Europe (Great Synagogue), the largest medicinal bath in Europe (Széchenyi Medicinal Bath), the third largest church in Europe (Esztergom Basilica), the second largest territorial abbey in the world (Pannonhalma Archabbey), the second largest Baroque castle in the world (Gödöllo), and the largest Early Christian Necropolis outside Italy (Pécs).